Pastors like me start thinking about it a lot this time of year. How many people will be present for worship this coming Sunday? And what can we do to make the Sunday morning celebrations of the Divine Service more appealing? I ask myself these questions, to a large degree, because I am convinced that our corporate witness to Jesus Christ may be severely weakened during the summer months, not only our witness to one another, but also our witness to guests who show up on Sunday mornings, only to find more pews empty than occupied with praised-filled believers. Secondly, a consistently lower church attendance during the summer months may cause us to question the spiritual health of our own Mount Olive’s members. A person who is physically healthy has a robust appetite and the same thing is true of those who are spiritually healthy. Jesus, quoting the book of Deuteronomy, proved himself victorious over Satan during his 40-day temptation experience, when he said, “One shall not live by bread alone, but by every Word that comes forth from the mouth of God!”(Deuteronomy 8:3; Matthew 4:4). We need time away from work, if that is possible. We need time together in non-stressful family settings to strengthen the bonds of love between parents and their children. But let’s be willing to admit another real possibility too. Sometimes we don’t take our church attendance all that seriously, especially during the summer. And what difference does it really make if I sleep in this coming Sunday, and having done it for one or two Sundays, find that it is now much easier for me to skip church on the third Sunday too!?! In the tenth chapter of Hebrews, the writer exhorts this group of newfound adherents to the Christian faith to be faithful in their worship celebrations. He says, “Let us hold fast to the confession of our hope without wavering, for he who has promised is faithful. And let us consider how to provoke one another to love and good deeds, not neglecting to meet together, as is the habit of some, but encouraging one another, and all the more as you see the Day approaching!” (Hebrews 10:23-25). Finally, I want to say thank you publicly on behalf of our whole church family to those members who serve so faithfully in our Mount Olive Choir and Handbell Choir. We often forget that you very dedicated people with your golden voices and note-reading musical ability drive back to church and rehearse faithfully in the evenings, Sunday after Sunday and Monday after Monday, in the fall, winter and spring months of the year. Music people enjoy your vacation from your weekly commitment to enrich our worship services with your beautiful talents every Sunday. Still we look forward to your singing and playing for two great festival days in June before you take your summer recess. Brothers and sisters in the Lord, enjoy a great summer! And hopefully, I’ll see you next Sunday! 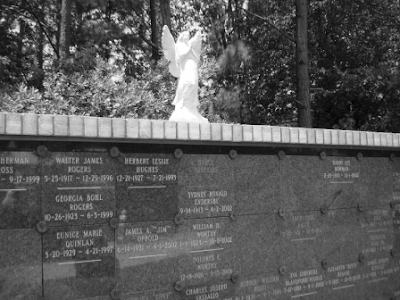 A columbarium is a place for the respectful and usually public storage of cinerary urns (i.e. urns holding a deceased’s cremated remains). The term comes from the Latin columba (dove) and originally referred to compartmentalized housing for doves and pigeons. 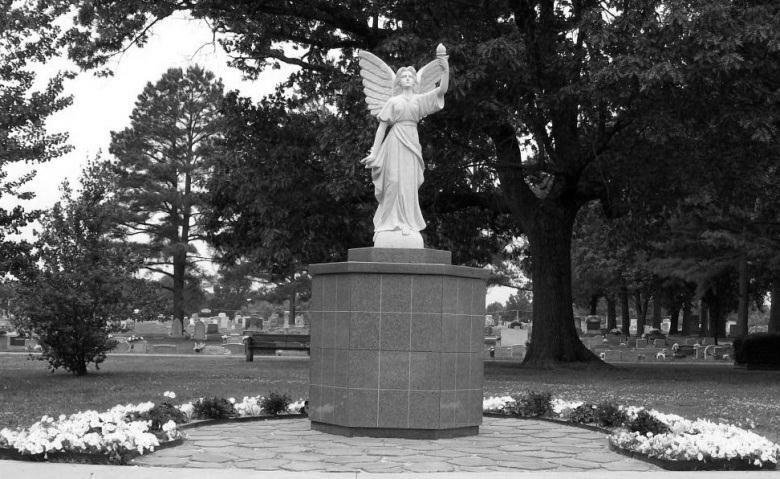 In the case of Mount Olive, a columbarium provides our congregation the option of expanding our cemetery capacity while essentially having the same footprint. There are a variety of esthetic options and the modular nature allows future expansion. The niche size can vary allowing for 1 to 2 urns. Plaque and directories memorialize the columbarium to allow friends and family member a means to remember. Prices will vary by material and size. Free standing manufactured models start at the high $300 per niche plus the cost foundation slab and any related landscaping. Customized construction is priced case by case. These faithful members were voted to serve in the following positions at the May Voter’s Assembly. Thank you for agreeing to serve in these vital capacities. The Easter season ends the festival half of the church-year calendar with the celebration of Pentecost. During that season we celebrated with three great feasts. The first is the Resurrection of our Lord, the second that of our Lord's ascension, and the third, that of Pentecost. He who was crucified, dead, and buried, arose again and ascended into heaven. From there, He sent the Holy Spirit, the Lord and Giver of Life, to help us remain true witnesses of our Risen Lord's life, suffering, death and resurrection for all sinners, for all time and eternity. The non-festival half of the church year is known as THE TIME OF THE CHURCH. These weeks on the church-year calendar are enumerated as the "Sundays After Pentecost". There will be 23 Sundays during THE TIME OF THE CHURCH in 2011. There can be as many as 28 Sundays during this season in some other years. You may remember when this period of time was known as TRINITY SEASON. If so, you may be almost as old as I am! The usage of "after Pentecost" is a return to an even more ancient custom. During THE TIME OF THE CHURCH the focus is not so much on the major events in the life of our Lord but on his teaching and how it is applied in the life of the church. The Paschal Candle was burned throughout the SUNDAYS OF EASTER to remind us of the Son's resurrection from the dead and of His physical presence on earth. It burns until Ascension Day. After His ascension, Christ is no longer VISIBLY present on earth. The Paschal Candle may be returned for funerals and baptisms, showing that the lives of the Lord's people begin and end in Him. The green of the paraments remind us of the growth and nourishment our souls receive as we study the words and works of Jesus. Faith, service and love grow through the power of the Holy Spirit. It is a time when the church should more consciously live and exercise its ministry to "go and make disciples". The garment Pastor wears during communion is a reminder of the Real Presence of Christ during the Sacrament. It is also a reminder that the wearer is in the service of the Lord. Different symbols on the chasubles remind us of some aspect of that season. The triangle symbolizes the Holy Trinity: three distinct persons in one Divine Being. The cross symbolizes Christ and His sacrifice for us. The dove symbolizes the Holy Spirit. The Olive Branch will cease monthly meetings during the months of June, July & August and resume again starting with the second Tuesday in September. We are currently working on machine and hand-tied quilts that are donated to Sharing God’s Love (please note the thank you note from this organization posted on the LWML bulletin board). This is a simple project that anyone can do whether it is cutting out different size squares, sewing them together or finishing the project by tying with yarn. Join us and someone will be happy to get you started. Plan on coming in the fall with new thoughts, ideas and projects that you are interested in. A current listing of some of the activities/projects performed by the ladies of the Olive Branch is posted on the LWML bulletin board. Everyone is invited to participate in any or all of the activities. A Bible study is also included from 1:00 – 2:00 on the days we meet (currently the 2nd and 4th Tuesday of the month). Five ladies traveled to the Carolinas District LWML Joy event March 19th at Ascension Lutheran Church, Charlotte, NC & four attended the Southern Zone Rally on April 9th at Risen Christ in Myrtle Beach, SC (pictures posted on the LWML bulletin board). Please always remember the large mite box located in the back of the church. The first Sunday of the month is designated as LWML Sunday. This money supports LWML mission projects throughout the world and in our own district. If you are in need of a mite box, they are available on the table outside the workroom. The Olive Branch meets during the week when many are working. Perhaps some ladies are interested in meeting one evening a month or on a Saturday for Bible study and other activities? If this is the case, please talk with Carole J. Mueller, Mt. Olive LWML President. The preschool ended its fourth year with a fun celebration at Saluda Shoals Water Park on May 19th. It is great to see what a family we all become throughout the year. We now will rest up this summer as we prepare for the start of the 2011-2012 school year at the end of August. Kindergarten Kamp is August 8-12 this summer. If you have a rising kindergartener or know one, please bring them to this camp. We have great fun as we prepare for that first day of school. With a school bus visit, milk cartons and real lunch trays, there are many experiences available during the week to ease first day jitters. Registration forms are in the narthex on the preschool table. THANK YOU all for your support this year – your snack donations, monetary gifts, fundraiser support and prayers made for another great year for our students. This program truly is a mission. When you hear parents talk about what a difference we have made in their families’ and children’s lives you know that is true. Your donations helped a family with two of our students attend this year – they travel a long distance to get here, and can barely afford the gas. But they came and the children grew by leaps and bounds this year under our care. YOU make a difference in people’s lives! I feel blessed to be a part of this program. If you have any questions, feel free to call this summer! 803-781-7180. Thanks again! A steward is one who is entrusted with the management of something that belongs to another. As Christian stewards, we recognize that all we are and all we have come from God. Stewardship is not just about money or finances. It is about everything God entrusts to our care. We are to manage everything for His purposes. In the Third Commandment we are reminded that we have the privilege and responsibility of managing God’s Word. This commandment focuses on managing time as it relates to God’s Word. Am I taking the time to read and study God’s Word and put it into practice in my life? Am I taking the time to gather with fellow believers for worship to receive the gifts He offers there? Am I taking the time to teach God’s Word to my children and grandchildren so their lives are ordered by what He says? “This third word,” writes Martin Marty, “is really addressed to the question, ‘Who owns time?’ The Law of God has much to say in the way of threat concerning misuse of time and of promise concerning redemption of time. Basically, three questions are implied here, as to time and work, time and rest, time and worship.” The Hidden Discipline, page 9. We are no strangers to the misuse of the time God entrusts to us. Robert Kolb writes, “This commandment calls attention to our failure both to gather for worship with other Christians and to use the Word for daily living. God has attached His Word to the rhythms of the week to insure our regular use of it, and He has attached it to the community to insure its disciplined and proper use. The Sunday worship service delivers God’s Word so that it may shape our world and our days throughout the week. Sunday reminds us of the resurrection of Christ and the beginning of new life in Him. To absent ourselves from the gathering of God’s people asserts our unbelief and our refusal to recognize God’s community and His purposes for us in community. The person who absents himself from this attention to the Word ‘is declaring the real absence of Christ in the Lord’s Supper, is asserting that Baptism is a nice trivial rite,’ is defining God’s Word as an illusion.” Kolb, Teaching God’s Children His Teaching, page 3-8.
Who owns time is a vital question for the Christian steward and impacts his/her whole life. David writes in Psalm 31:14-15a, “But I trust in you, O Lord; I say, ‘You are my God.’ My times are in your hands.” God owns time. He created it. He generously entrusts it to us. He uses it to bless us. St. Paul writes in Galatians 4, “4 But when the fullness of time had come, God sent forth his Son, born of woman, born under the law, 5 to redeem those who were under the law, so that we might receive adoption as sons.” We respond to God’s grace by holding His Word sacred and gladly hearing it, learning from it, and putting it into practice. That is the Christian steward’s joy and delight. R. C. Rein writes, “The Christian’s time...is to be consecrated wholly to the Lord. This involves using all occasions and all opportunities for the Lord’s glory and for the good of ourselves and others...Time is a precious gift of God. To value it properly and to employ it profitably should be a matter of conscientious concern to every Christian. To devote the first fruits and the best of our time in worship and service to our Creator and Redeemer is an essential part of God’s guide for giving.” First Fruits, page 44-45. “Be sure to get this:” writes Martin Luther, “even if you knew the Word of God through and through and had mastered everything, yet all your days are spent in the devil’s territory, and he rests neither day nor night from stealthily trying to sneak up and kindle in your heart unfaith and evil thoughts against all the commandments. Therefore you must at all times have the Word of God in your heart, on your lips, and in your ears...when we sincerely ponder, hear, and apply the Word, it has such power that its fruit never fails. The Word always awakens new understandings, new delights, and a new spirit of devotion, and it constantly cleanses our heart and our thinking.” The Large Catechism, the Third Commandment. 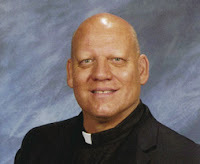 From “StewardCAST” e-News, April, 2011, provided by: District and Congregational Services, LCMS. We had another great year of Sunday School and we are ready to start Summer Sunday School. In the summer, we are a little more laid back and classes tend to become smaller as people take vacations. The Pre-K – 4th graders will meet downstairs. All 5th – 12th graders will meet in the Wagner House. The education committee is looking for volunteers to teach summer Sunday School June 5th to August 28th. All teachers will have pre-planned activities and you do not have to sign up for the whole summer! Please call Sarah Vickers if you are interested. Mark your calendars for our new Sunday School year Rally Day on August 28th. Stay tuned for more information later this summer. A few months ago, Pastor Sizemore and I watched a webcast sponsored by our district and presented by Dr. (Rev) Charlie Mueller. The webcast was a narrative of Dr. Mueller’s experience and philosophy of “Everyday Witnessing” gained through fifty plus years of ministry. From his perspective, Lutherans may not be as eager to witness because we tend not to have had a dramatic conversion. He used Paul as an example of a dramatic conversion leading to a devotion to spreading the Gospel. Even without a dramatic conversion experience, through the water of baptism, the Word, and the wine and wafer of Holy Communion, we recognize what God has done for us. We know not only “who” we are but also more importantly “whose” we are. Dr. Mueller emphasized the need for us to understand that there are many around us who continue to have problems in their lives and their coping mechanism is sin. If we do not spiritually reach out to them through our witnessing, they will never have the peace of all understanding, only spiritual blackness. Witnessing does not require us to teach. Witnessing requires only our willingness to help someone learn to recognize Jesus as Lord and Savior. The “energy” behind our efforts is from God through the Holy Spirit and the calling of the Gospel. In our last session of Natural Witnessing training, we discussed how we could deepen our relationships with non-Christians through our words and deeds. This session was the first of the final three sessions that direct our attention to creating opportunities for natural witnessing. Most of us are not very comfortable with witnessing. The natural style of witnessing focuses on recognizing your personality, your spiritual gifts and providing each of us with support to reach out to others. Our next session will be held on the 26th of June during the Adult Sunday School hour in the fellowship Hall. Please continue to save soda tab-tops for the Ronald McDonald House Charities. These small tab-tops produce revenue for RMHC. Our last donation was 4 lbs.! Deposit your tab-tops in the "house" located on the table outside the church office. The need for donations to our local food pantry, Sharing God's Love, will be increasing soon when schools let out for summer vacation. Using your Bi-Lo Bonus Card is a great help! Bi-Lo donates 1% of each of your purchases to the SGL ministry. Bar-code forms are located in an envelope on the bulletin board outside the church office. There is a new midweek Bible study that meets Wednesday evenings at 7:00 at Pastor Sizemore’s home. During the summer months, the group will study the lectionary for the following Sunday. Everyone is welcome to attend. Call Bill Boykin for further details. The Bible study in the Northeast will continue to meet at the Blythewood home of Bob & Teri Massa on Wednesdays at 6:30. They will study selected passages from the Old Testament. The church nursery is open during the Sunday school hour and 10:30 service from 9:00-Noon for children ages 3 years and younger. The nursery is located inside the back entrance across from the Wagner House. Pastor’s New Member Class begins on July 10th. The deadline for submitting articles for the August newsletter is July 20th. Since many of us have summer vacations, you may send me your articles anytime between today and July 20th.